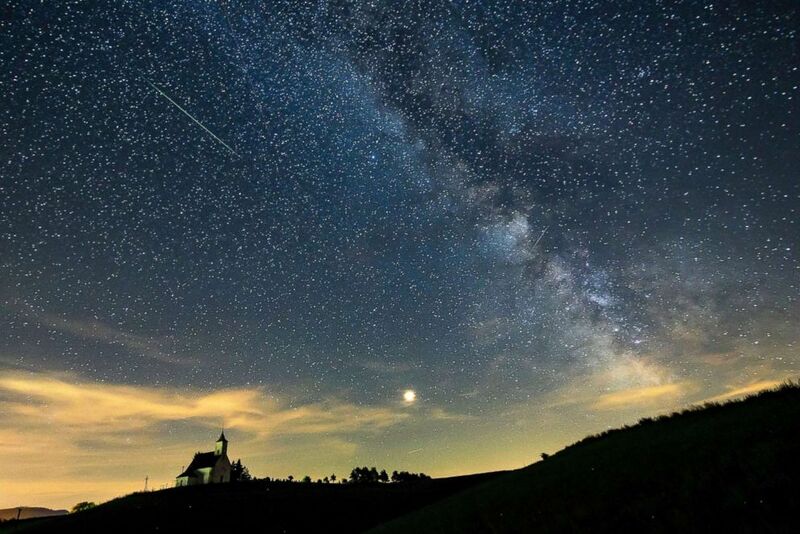 (Peter Komka/EPA via REX/Shutterstock) A meteor streaks through the sky past planet Mars and Milky Way during the Perseid meteor shower above the village of Gemersky Jablonec in Slovakia, Aug. 13, 2018. 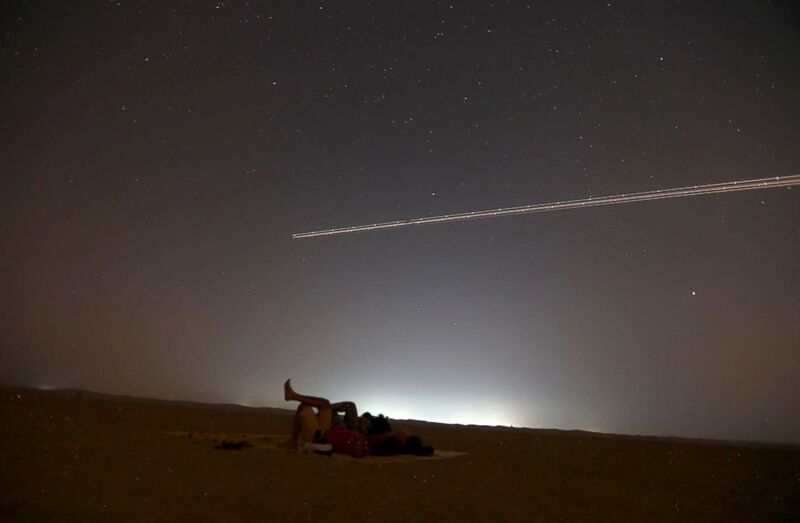 (Ali Haider//EPA via REX/Shutterstock) People lie on the ground to watch the Perseid meteor shower as an airplane flies over the Al Qudra desert, in Dubai, United Arab Emirates, Aug. 12, 2018. 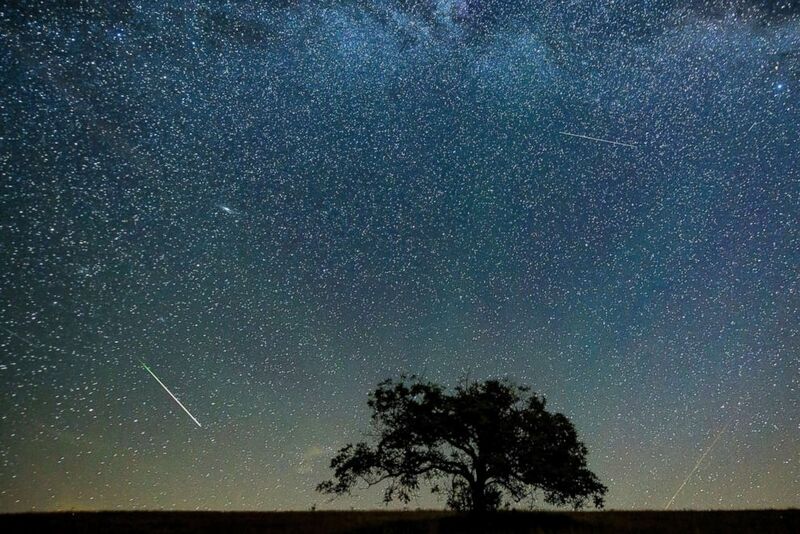 As the Earth passes through the debris left behind by the Swift-Tuttle comet's tail, an array of streaking lights is displayed across the night sky. (Peter Komka/EPA via REX/Shutterstock) A meteor streaks through the sky during the Perseid meteor shower above the village of Hajnacka in Slovakia, Aug. 13, 2018. 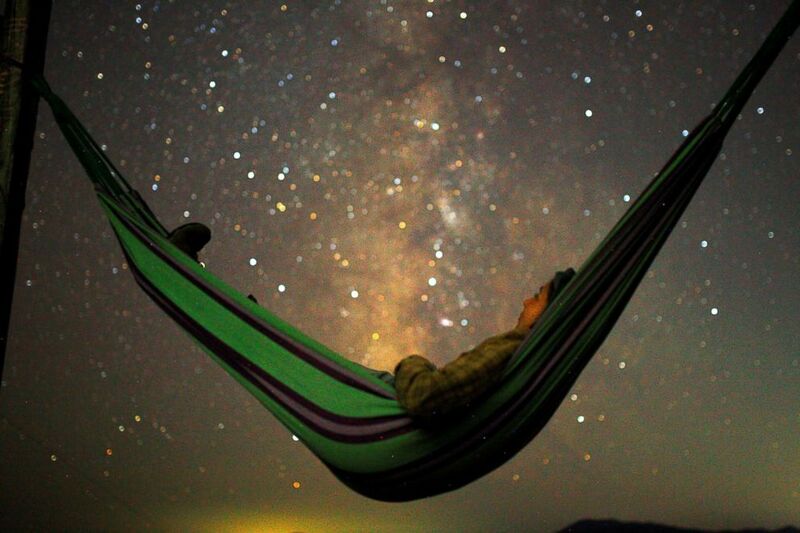 (Ognen Teofilovski/Reuters) A girl lies in hammock as she looks at the milky way during the peak of Perseid meteor shower in Kozjak, Macedonia, Aug. 13, 2018. 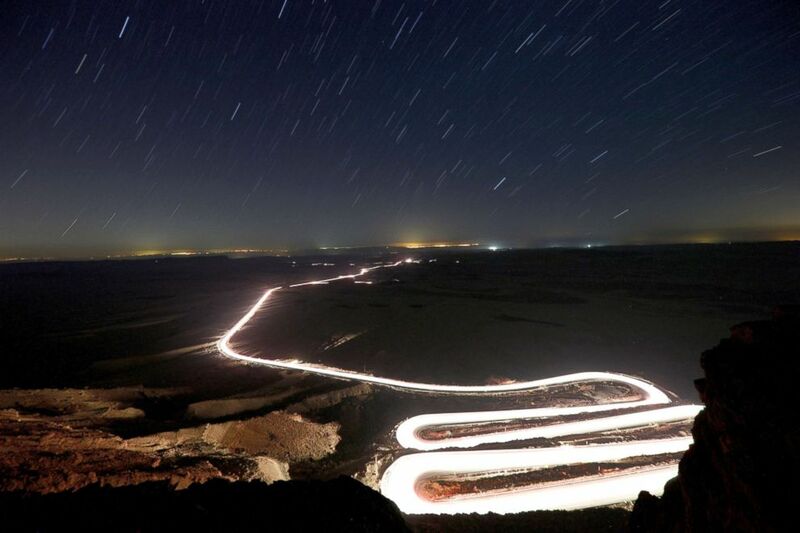 (Amir Cohen/Reuters) Cars drive through Ramon Crater during the Perseid meteor shower near the town of Mitzpe Ramon, southern Israel, Aug. 12, 2018.